Two military veterans from Cardiff are calling for the public’s support to achieve a vast charity fundraising target as they embark on their final few weeks of training for the Marathon des Sables, otherwise known as The Toughest Footrace on Earth. Huw Lewis MBE and Brian Edwards, who both hold senior positions in Cardiff-headquartered training organisation MPCT (the Motivational Preparation College for Training), will be taking part in the grueling 6-day race. The pair will run a total of 156 miles across the tough terrain Sahara Desert, with the longest stage being 55 miles in a single 24-hour period. The annual Marathon des Sables is taking place from 7 – 17 April. To prepare for this huge challenge, Mr Lewis and Mr Edwards are looking to run an impressive 1,500 miles between them and lose a combined weight of 5 stone, in order to be fit enough to compete in the brutal event. 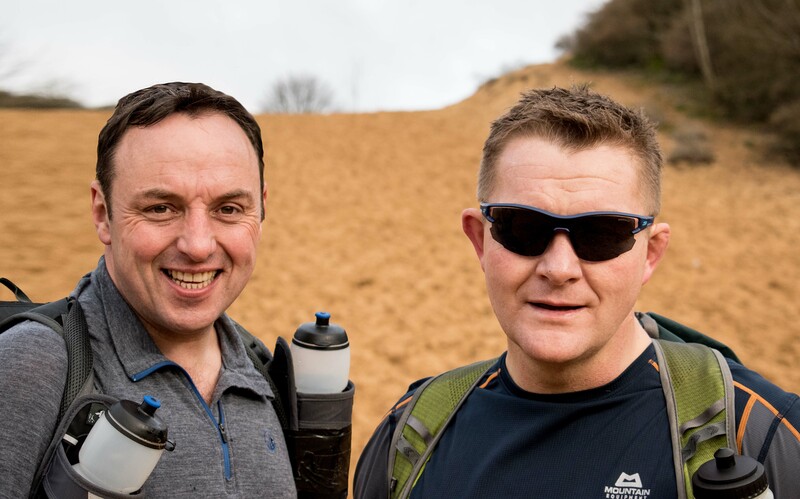 The pair are taking on the Marathon des Sables to raise money for the Motivation & Learning Trust (MLT), a charity that helps young people to improve their employability and reach their full potential in life. They are hoping to raise a total of £10,000 for the charity, and have already raised more than £8,000. With their fundraising goal within touching distance, they have now turned to the public for help.